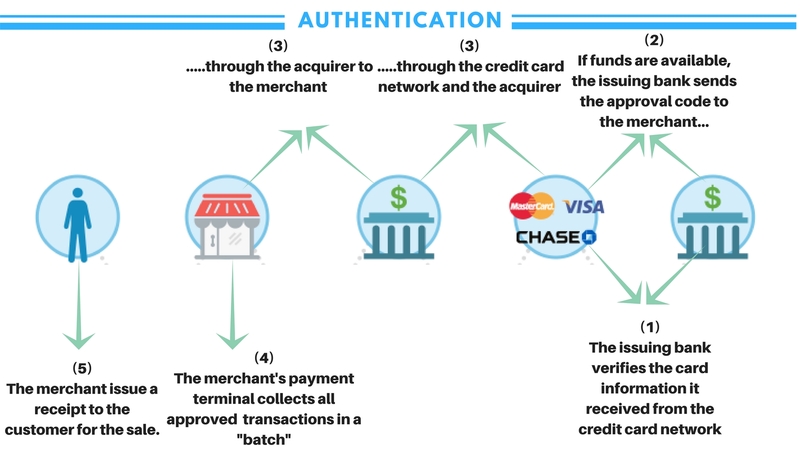 Every credit card process looks quite simple. You just have to swipe the card and the transaction completes before even blinking of your eyes. However, merchant and business owner should know how credit card processing works. Behind every single swipe, there is a complex procedure which is not visible to the normal eye. 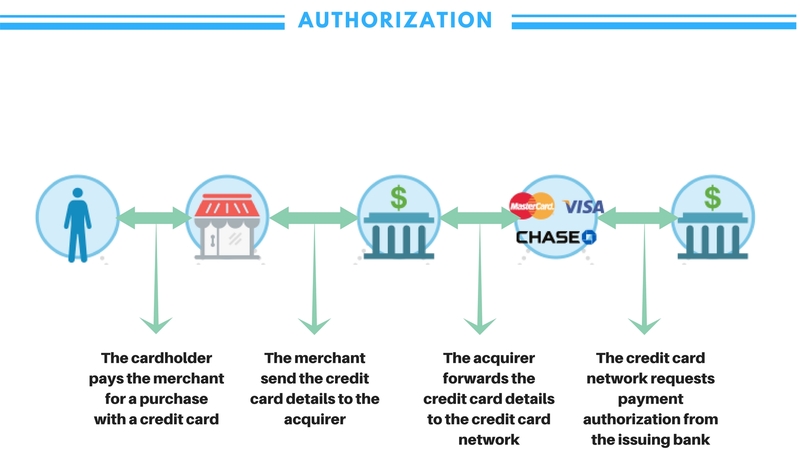 The simple swiping of the card and signing of the receipt is the first and the final steps of the complicated procedure. It takes just a few seconds to perform the two steps and in those few seconds, there are multiple stages and processes involved. Payments processing is one of the biggest cost that a merchant faces in his business. Therefore, we provide you every detail of a how credit card processing works– from the key players involved in getting approved or declined. First of all, you should know about the key players involved in a credit card transaction process before examining each process in more detail. If you have a credit card then you should be aware of the role of a cardholder. A cardholder is who owns a bank card (debit or credit card) issued by a bank. There are two types of cardholder: “Transactor” is the one who repays the balance of the credit card in full while “Revolver” is the one who repays some part of the balance and the rest he accumulates interest. A merchant is the defined as any business that accepts debit or credit cards as payments for its customers for services or any good provided. It is the one who requests payment authorization from the credit card issuing bank. A merchant’s bank is a registered member of the cards associations i.e. Visa and MasterCard. Acquiring or merchant’s band provide merchants with software and various tools to start accepting cards and also necessary aspects which are involved in card acceptance. The bank also deposits money to merchant’s accounts from the credit card sales. An issuing bank job is to provide a credit card to its consumers. It is also a member of the credit card associations i.e. Visa and MasterCard. For every purchase of the cardholder, the issuing bank pays to the merchant’s bank. The association members or networks process credit card payments and also interchange fees. Visa, MasterCard, American Express are some examples of credit card networks. The acquiring processor sends the credit card payment details to the credit card network. The network forwards requests for payment authorization to the issuing bank. It also sends to the acquiring processor the issuing bank response. A simple credit card transaction can be processed through many different platforms such as e-commerce stores, wireless terminals, and also mobile devices. The whole process of swiping the card to the receipt produced takes place with few seconds. In this stage, the merchant obtains approval for payment from the respective issuing bank. 2. On the point of sale (POS) the merchant swipes the credit card and it sends the credit card details to the acquiring bank. 3. The acquiring or the merchant’s bank forwards the details of the credit card to the credit card network. In this stage, the issuing bank using various fraud protection tools such as AVS and card security codes (CVV. CVV2, CVC2, and CID) verifies the consumer’s credit card. 1. The credit card network sends the authorization for payment to the issuing bank. 2. Then the issuing bank checks the number of the credit card, amount of available money, the billing address and finally the credit card security code. 3. The issuing banks send the appropriate response to the merchant through various channels - credit card network and merchants bank. 4. Then the merchant receives the authorization and the issuing bank will place a hold on the purchase amount on the account of the cardholder. 5. Hence, the sale completes when the merchant provides a receipt to the customer. 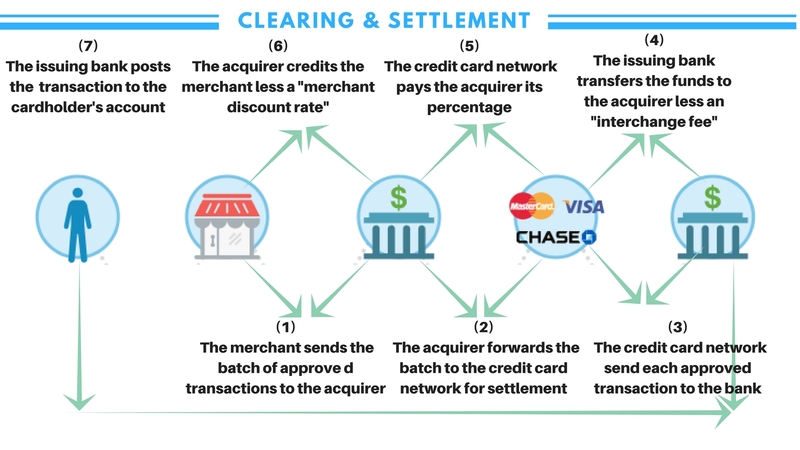 The clearing and settlement stage occurs simultaneously. In this stage, the transaction is published on both merchant’s statement and the cardholder’s billing statement. 1. The merchant sends the approved transactions to the acquiring bank at the end of each business day. 2. The acquiring processor or bank sends the batched information for the settlement to the credit card network. 3. Therefore, the credit card network forward to the appropriate bank the each approved transaction. 4. As a result, within 24-48 hours the issuing bank transfers the funds deducting some interchange fee which the bank shares with the credit card network. 5. The credit card network pays the processor and the bank their respective shares from the remaining funds. 7. The transaction details get posts by the issuing bank to the account of the cardholder. hence, the cardholder receives the billing statement and it pays the required bill. Many merchants accept credit card payments because they care for the convenience of the customers. But, you would have noticed that many merchants still accept only cash for payments. Some merchants allow payment from the credit card if your bill is above the minimum purchase amount. Do you want to know the reason for this strange behavior? Most merchants still hesitate because they have to pay a price to accept the credit card payments. Hence, most merchants markup their products prices to absorb the card processing cost. Credit card processing rates vary depending on the type of merchant and through which platform the product or service is delivered i.e. an online store, retail store or by mobile). Most of the charge flat rates or per transaction fees. The merchants have to pay the fee for accepting and receiving the credit card payments. The fee ranges from 2% up to 5% of the price of the total purchase after deducting the sales tax. The acquiring processor and the bank pay this fee to the respective issuing bank. Hence, each credit card network has its own interchange fee. For example, Visa and MasterCard change their interchange rates twice in a year. ii) Credit card network fixed transaction fee. Interchange fee varies a lot and hence it is categorized through “interchange qualification”. • Presence or absence of the credit card physically. • The method used for processing (Swiped or manually entered). • Type of card (Regular, commercial and the government issued). • Type of merchant’s business. The entire credit card network (other than American Express) charge the transaction fees which are made through their credit cards. It has usually a fixed fee and the acquiring bank of the merchant might not charge a lower rate with him. Depending on the pricing model, the merchant's also charge assessments per transaction. For example, MasterCard may charge 0.10% assessment plus $0.0180 processing fee for each card swipe. Assessment fee and the interchange fee combined consist of the 75% of the total card processing costs. Most acquiring banks includes a markup over interchange and assessment to facilitate credit card transaction. It consists of usually 20% to 25% of the total card-processing costs. Markups may vary by the acquiring processors and price models. It can also constitute any other type of fees. Within 60 days of the credit card statement, a customer can rightfully dispute a charge on their credit card. When the issuing bank gets the customer complaint, it charges $10-50 from the merchant as a penalty for “retrieval requests”. If the merchant does not respond within a certain time period, then it may have pay additional fees. If the merchant loses, then the bank will try to recover the customer’s payment. 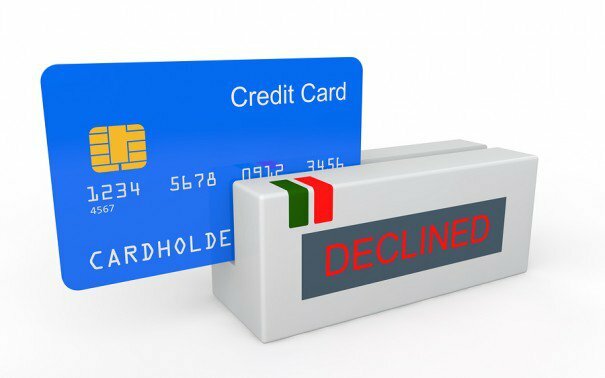 If your credit card transaction gets declined, then it might be caused by other reasons other than maxing out the credit card. Whenever a credit card is declined, then the POS or Point of Scale terminal will show a response code which explains the situation. When the response code also does not provide enough reason for your continuous card rejection, then only the credit card issuer can identify the problem. Hence, you have to call the customer care to solve your problem. • Wrong credit card number or expired date. • The issuing bank has a technical issue while processing your transaction. • Sometimes, the bank declines a card when a customer makes a huge purchase on a short period of time. Nowadays, most people prefer to pay for a product or service through credit cards. Therefore, it is important that everyone especially small business owners should know how credit card processing works. We have mentioned each and every intricate detail on how credit card processing works and also the key players involved in the transaction process. You would have been amazed to know about the multiple processes involved between swiping of the card and getting the receipt. Now you would be aware of the various transaction fees and costs and what the reasons for the rejection of your credit card. If you have any query regarding how credit card processing works, then let us know in the comment section.